The Letter For The King was my very first MG read of the year and a translation of an older (1962) Dutch publication that is scheduled to be published later this year. 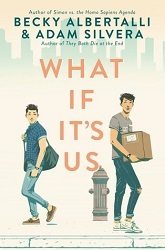 And just look at that gorgeous cover! I thought I had read it in Dutch before when I was a kid, but apparently I was wrong because I didn’t recognize the story. That said, I think I probably would have enjoyed it a lot better back then. 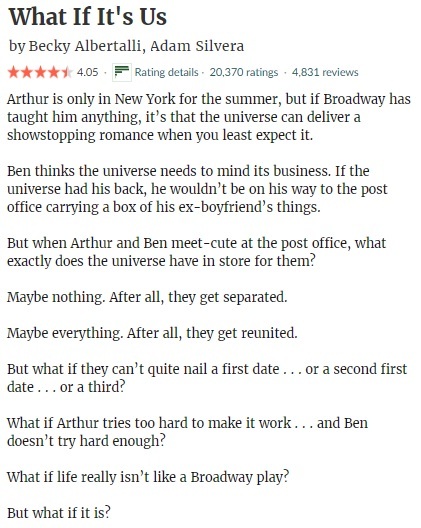 It’s not the fact that this is a middle grade read and ment for a younger public, because I have enjoyed books belonging to the age group before… And I can’t really put my finger on the why, but the fact is that I just couldn’t get used to the writing style and tone. I’m not saying the writing is bad at all, just that I was never able to get a proper feel for it. And unfortunately it took me ages to finally finish it. I felt the story itself was rather slow and dragged at points… The Letter For The King is over 500 pages long and I think it would have worked better with a faster pace and 200 pages less. The story itself is interesting as well as the quest the main character finds himself on; I liked the worldbuilding too. There was just something about the different kingdoms, the long ago setting with knights and quests that is truly enchanting. But overall it was just too slow for me. 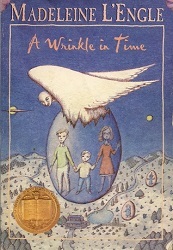 The right age-group will enjoy this story a lot better though, as long as they don’t have a short attention span. There were things I really liked about The Letter For The King, including the long ago setting and worldbuilding full of knights, interesting kingdoms and quests. The rating above is my personal rating, but I do believe the right target group will enjoy this story a lot better. The main element I personally struggled with is a combination of a slow pace and a writing style I couldn’t become used to. I believe The Letter For The King would have worked better with a faster pace and less dialogue; with over 500 pages, I felt the story was a bit overlong. The adventure, intrigue and suspense are there, but it was kind of burried under a big pile of not that important dialogue… Still, especially younger boys will like following Tiuri on his mission. Say hello to a new feature on It’s All About Books! As you all probably already know, I’ve been fighting with a rather stubborn reading and blogging slump during the last few months and it’s been a real struggle… I managed to get more or less back to reading, but as the pending book reviews started piling up the whole ‘getting back to blogging’ was getting more and more difficult to achieve. Currently the list of pending reviews is about twenty books long and while I know I don’t HAVE to review every book, I feel bad if I not at least mention a few things about each one. Hence, Yvo’s Shorties was born. Similar to my normal reviews, but with a 2×1 book bonus in each post that includes my rambles about both. This book has been receiving a lot of mixed reviews, but the blurb sounded fascinating and I just couldn’t resist giving it a go. Fact: magical realism and me don’t always get along all that well. It’s a peculiar genre that either works for you or doesn’t, and for me it really depends on the execution if I’m able to enjoy the magical realism elements. 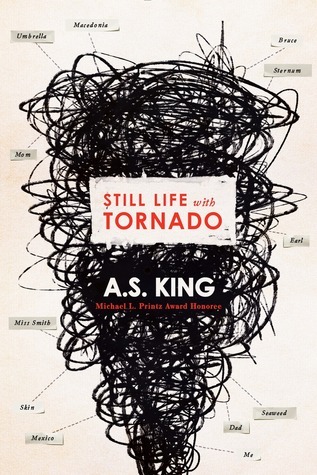 Unfortunately in the case of Still Life Of Tornado I wasn’t convinced. First of all and more importantly, I really didn’t like the writing style, tone or main character (or other characters for that matter) and this hugely impacted my reading experience. I’m not saying the writing style is bad, but it’s definitely one that isn’t for everyone. The lack of connection to the characters and my struggles with the writing style made it hard for me to keep myself focused on the story, but that wasn’t all. Honestly, I felt that nothing really made sense to me at all and my eyebrows worked overtime while I was reading Still Life With Tornado. Magical realism or not, this book is definitely not my cup of tea. Still, I also feel the right person could really enjoy this quirky story. 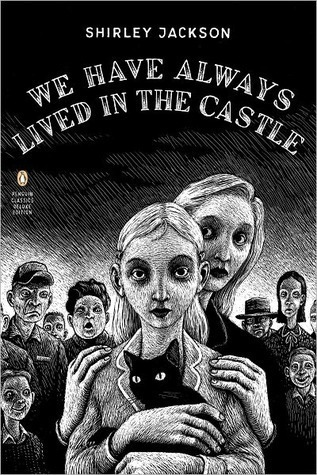 I have been wanting to read this modern classic for ages now, and I’m still not sure why it took me this long to pick up my copy of We Have Always Lived In The Castle. I truly had the feeling this was going to be another new favorite classic, so I was really surprised when I ended up having a completely different reading experience instead. I’m not sure what I expected when I picked up We Have Always Lived In The Castle, but it definitely wasn’t what I found when I started reading. Because honestly, nothing much really happens during all those pages. The promise of suspense is there, and the mystery around what happened at the Blackwood estate, but those promises didn’t come true. Instead, I found it a rather dull story about two quirky sisters living isolated in a mansion, and I was almost bored while I was kept waiting with my fingers crossed and hoping to see something would actually happen. 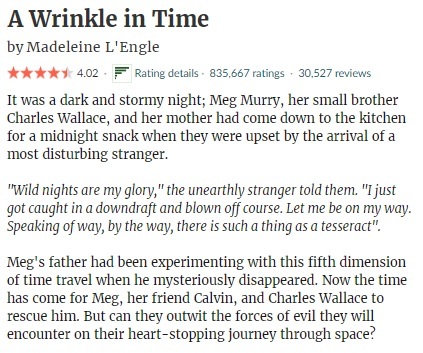 I’m not sure what to think of the ending either… The writing was interesting and I can see why it has turned into a modern classic, but personally I was quite disappointed with what I found. Fans of slowpaced, mostly character-driven stories will probably enjoy this story a lot more though. A friend of mine lend me a copy of The Middle Passage, and I’m glad I took the time to finish this travel memoir by V.S. Naipaul before I returned it to her. The Middle Passage was not my typical choice of reading and I have to admit I don’t know that much about Trinidad and the four Carribean societies mentioned (except for maybe Surinam because of its connection with Holland). What the countries have in common are the traces of slavery and colonialism, and that is what Naipaul focuses on in his book: the racial differences and the connections the former colonies have with their occupiers. It’s hard to give a proper summary of all the different countries without this review becoming a short novel itself, so I have decided to keep this short. In The Middle Passage, Naipaul takes you on a journey through five societies and former British, French and Dutch colonies. He tells us his experiences during his journey, and analyzes the situation in the different countries (Trinidad, British Guiana, Surinam, Martinique and Jamaica). Not every society has reacted to its occupiers in the same way, and while some reject the foreign cultures, others openly embrace it. There is also an enormous difference in racial acceptance between the different countries… With huge social consequences. The way Naipaul wrote down his story didn’t convince me fully, and I had to make myself continue at certain points where the story just became too slow to keep my attention. But I cannot deny it is an interesting story Naipaul is trying to tell. The fact that he was born and raised in Trinidad and later moved to London has a lot to do with that. Having lived in both ‘worlds’, he is able to blend in with the locals as well as having access to the insights of outsiders. I cannot judge properly if the comments he makes in The Middle Passage about the different societies, race problematics and inequality are accurate. What does become clear is that the book narrates his experiences when travelling through those countries; the difficulties on the way and the people he meets a sample of what the situation was like back then. Recommended to those who want to know more about the societies mentioned and enjoy reading non fiction travel memoirs. This classic of the sixties is without doubt worth reading. Ken Kesey wrote a story that is both brilliant and intriguing, and it’s one that can be explained in many different ways. I guess that’s why this book is so popular among English Literature teachers; although mine never chose One Flew Over The Cuckoo’s Nest for her lessons… McMurphy is an interesting character, although my favorite will always be Chief Bromden. The fact that we see the story through his not so normal eyes only adds to the brilliance of this classic. Definitely recommended, as well as the movie! We see the ward through Chief Bromden’s eyes, and sometimes it’s hard to understand his thoughts because of the hallucinations and ‘mental fog’ he’s suffering from. But it also makes you understand the whole situation inside the ward that much better, and without Bromden the story wouldn’t have been the same. Great read!